Getting stuck into Sekiro: Shadows Die Twice this weekend? 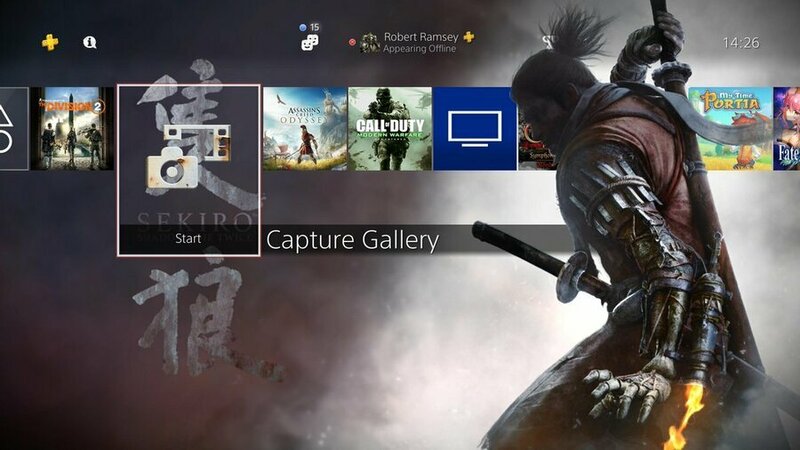 Well, you may want to heighten the excitement with the game's dynamic PlayStation 4 theme, which is available to download right now from the PlayStation Store for free. The theme's pretty cool -- it's got some nice artwork of the title's main character, as well as its own backing track and sound effects. 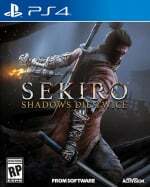 You may have to manually search for 'Sekiro' to find it, though, or you can jump to it from the bottom of the game's page. Could your PS4 do with a makeover? Wipe the blood off your blade in the comments section below. It’s definitely a lot better than the pre order bonus theme. unfortunately my pre-order theme is corrupted. same with the chocobo pre-order theme. That's a really nice free theme. Not playing the game at launch, but I'll keep this theme on standby for when I eventually do. Is it just me who absolutely detests that bar behind the game/app/folder name? So many themes have it and if it's as dark as the one on this I just can't use it. Ruins the look of a theme for me. @Shogunrok is level 15 haha I'm level 14 and I know I haven't played half the games you've played. @LightingThor I agree, I was a bit disappointed when I installed it this morning. Will give this a go instead. @TheArt That's not Trophy level, that's the amount of friends that are online! Downloading it along with the day one patch. I prefer the Hirata Estate Dynamic Theme, I like the animated ones. I have the Pride one its nice and colorfull. Now i want them to give us the option to change the sounds.